Learn about Dana Point, California, by reading Pleasures You Can Enjoy in Dana Point, Californiaby Sandy Zimmerman, Travel Writer. It features a mini, but thorough tour of the destination, plus all you'll need to know to plan your trip including getting there, objective information on places to stay and eat, and things to do. At the end of the article, we've provided a summary of the contact information for your easy reference. Enjoy! Pleasures You Can Enjoy in Dana Point, California! The moment we saw picturesque Dana Point Harbor, we understood why author/seaman Richard Henry Dana (1835) said, “It is the only romantic spot in California.” Named after Dana, he describes the charms of the cliffed cove in his seafaring novel Two Years Before the Mast. At 19, Dana became a sailor aboard the merchant brig, Pilgrim, sailing from Dana Point around Cape Horn, to Boston. 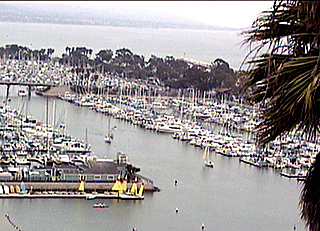 El Embarcadero Cove was used by small, fast hide vessels (1830-1840) engaging in the smuggling trade. Hipolito Bouchard, an Argentine pirate, used this cove in 1818 while his sailors raided and set fire to the Mission San Juan Capistrano. Everyone is watching as the ocean’s waves continue their dance-like movements around our boat. We dare not look away. Just a half hour from the harbor, the excitement is building within us. We must watch the churning sea. Suddenly the captain yells, “Whales at 6 o’clock,” and our wait is over. A whale lifts itself out of the water, sometimes just for a few minutes, and at other times we can see more of its body and tail. The biggest mammal on earth performs its ritual so very close to us. Then the whale dives down to swim under our boat. Every year thousands of Orcas, Humpback Whales, Blue and Gray Whales leave the arctic seas and follow the coastline to Southern California and Baja. This 5,000-mile migration takes these giant mammals past Dana Point, referred to as a landmark for the whales. Usually whale watching season runs from November-April, some Blue Whales seem to like it there and are still around in August. Come aboard the replica of an old pirate ship, the Pilgrim. This square-rigged, 118 foot historic Tall Ship looks as though it just came out of a scene in a pirate’s film! You can tour this vessel and even go on one of their sailing cruises. The Ocean Institute, known for helping children experience the ocean environment, rums the Pilgrim and the R/V Sea Explorer. See the schedule of Tall Ship cruises, snorkeling trips, wildlife cruises, and programs in the Details Section. We took the Street of the Blue Lantern up the mountain from the Tall Ship, Pilgrim’s dock, and stopped at the Spanish style gazebo for some of the most breathtaking views of the ocean, harbor and boats. When we looked up, Cannons Restaurant was above us. This is called the Samson Overview Gazebo. In addition to the thrills of watching for whales and enjoying all the attractions of Dana Point, we look forward to enjoying other pleasures- discovering restaurants that will delight our palate. A view of Cannon's Restaurant from the road. Steve Rosen, General Manager co-owner of the Renaissance Restaurant, describes their image, “We serve fine food in an informal environment.” Bill Milton, Chef co-owner, is a master of the culinary arts; “I give flavor to food before we serve it to the customers. Our meats and poultry dishes are marinated from 24-48 hours.” Every night Chef Bill uses from 8-9 bottles of Chardonnay in preparing his pastas, “We want our customers to enjoy the type of cuisine they can’t get anywhere else. Choose the type of steak you wish, then decide the way you want it prepared. (See sample menu in Details Section) No cover, no minimum entertainment nightly. Live bands with a variety of music. After enjoying all the pleasures around Dana Point, we need the pleasure of a comfortable place to relax and get a good night’s sleep. 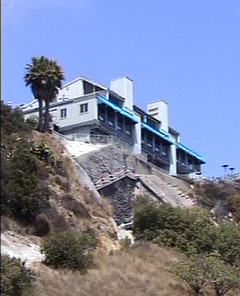 The Capistrano Beach All Suites Resort is nestled between the mountains and the ocean. What a romantic getaway! Their slogan, “We put the beach within reach, and promise . . . the view . . . the ocean . . . the room to unwind.” And it is true. Marketing & Promotions Director, Alicia Salter explains, “Because the Capistrano Beach Resort was originally built as time-share apartments and converted into a resort, our guests have big apartments and more amenities than the regular hotels. The apartments range from 300-800 square feet and can sleep up to 6 people. Eat in your apartment, on your balcony, use the Jacuzzi decks B. 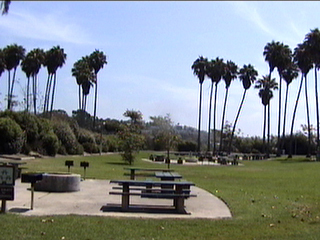 B. Q. and tables, or sit at picnic tables on the beach. Most apartments have oceanfront or ocean views and offer bedroom suites, family suites, and apartment suites, in addition to standard value rooms. These services are free: super continental breakfast, in-room high-speed Internet connection, local calls, underground parking, in room tea/coffee/popcorn, and newspapers. Alicia and Chris enjoy living in Dana Point. She sees dolphins while walking on the beach. He catches 30-40 pound halibut. What a life! You can hear the surf from any of their ocean view or ocean front suites. The meeting room accommodates 26 people along with a hospitality suite for groups, family reunions, or meetings. Watch the sunset while soaking in the ocean view pool-sized Jacuzzi 7am-midnight. The big continental breakfast is served from 7-10 am - cereals, sweet rolls, muffins, bagels, donuts, biscotti, cream cheese, juices, including over 20 different items. You are just a few minutes from Dana Point and walking distance to restaurants and stores. During the summer, a free trolley stops every half hour to take you to the wharf, restaurants, shopping centers, and around Dana Point. With a small town atmosphere, Dana Point is quaint, and has its own personality. Choosing the right hotel makes the difference in how much you enjoy your vacation or business trip. There are numerous side trips and things to do around Dana Point including a Catalina Express trip to Avalon on the Island of Catalina. Visit the Disneyland Theme Park (33 miles) The Happiest Place on Earth" is an enchanted kingdom of fantasy and imagination filled with classic family-friendly attractions and magical entertainment, dining and shopping. The Legoland California theme park is a 120+ acre park geared specifically towards youngsters’ ages two through 12. Over 50 rides, 5 new attractions. Located 30 minutes north of San Diego, 1 hour south of Anaheim, 32 miles from San Juan Capistrano, in the village of Carlsbad. Games recreated from Lego bricks, block of fame, world famous faces and works of art. Dana Point is located 10 miles south of Laguna Beach, half-way between Los Angeles and San Diego. From Las Vegas: I-15 South (241.4 miles) to CA-91 West toward beach cities (9.6 miles). Take CA-241 S toward Irvine (toll) (12.2 miles), change to CA-133 S toward I-5 (toll) 3.9 miles. Merge onto I-5 South toward San Diego (16.4 miles). Take CA-1 North to Pacific Coast Highway (1.9 miles). From John Wayne-Orange County Airport: Turn left on Macarthur to I-405 South. Change to I-5 South and exit at Crown Valley Parkway. Make a right turn, and after 2 miles turn left on Pacific Coast Highway. Capistrano Beach - Located approximately two miles south of Dana Point Harbor, you can use the beach, seven volleyball/ basketball courts, food stand, showers and restrooms. 34551 Puerto Place Dana Point. PLEASE NOTE: Restaurant discounts and 2-for-1 coupons are available free at local markets, stores, and hotels. Reminder: Check rates and book your reservations- car and hotel -with WTA’s Online Travel Booking Service. Deep discounts may apply to car rentals and hotels!